Beat back the hordes storming the galley. 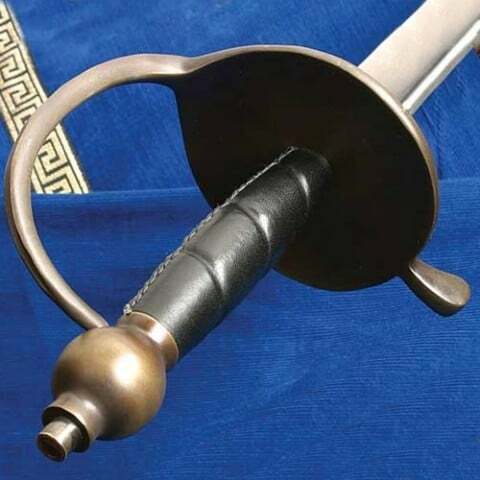 Beautiful antiqued brass and steel hilt. 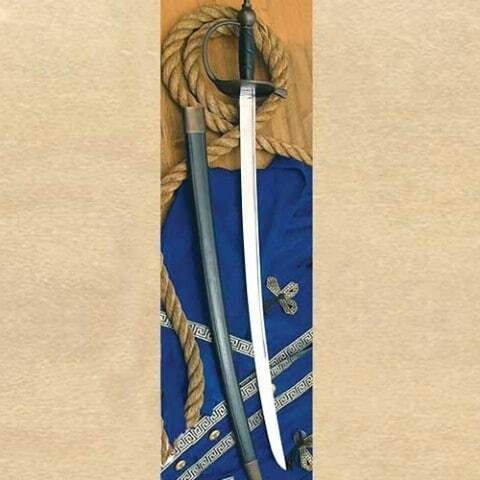 Fully tempered high carbon steel 66cm x 3cm blade. Overall length 82.5cm. Weight 0.9kg. 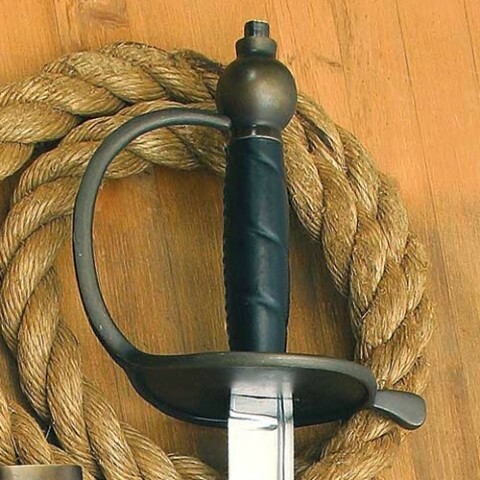 Includes scabbard and matching antiqued parts. Can be factory sharpened for an additional $20.